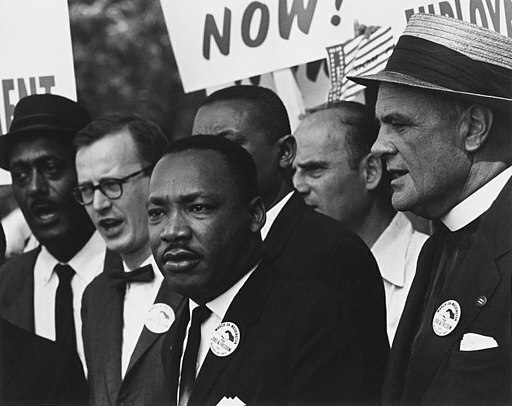 Born in Atlanta, Georgia on January 15, 1929, Civil Rights activist Martin Luther King Jr. is still widely recognised as one of the great leaders and orators of modern times. Dr King’s hope and dream was that America and the world could become a just society where race, colour and creed would not impact a person’s civil rights. But how has Dr King’s work inspired education and what can modern day educators learn from his work, life and beliefs? Firstly, let’s understand his background, education and where he found his inspiration. Dr King’s education started at a very early age, with his mother, who, as a school teacher, taught him to read before he started school. He never really completed high school; he was so intelligent that he bypassed his first and last year at Booker T. Washington High School and entered college when he was only 15 years old. The role of the educator is to teach students how to think for themselves, both in-depth and critically. Education is not just about retaining facts, it’s teaching students to appraise and analyse the information they have available and helping them to form their own conclusions. In an age of instant gratification and information overload, one where data is so quickly accessible and available (think Google’s Alexa), perhaps more than ever, we need to teach the skill of solid thinking. This means the ability to assimilate various sources of information, and to critique and curate it using our own deep thinking. This is a timely reminder that, in an age where we rely so heavily on mobile communication and social media to communicate with others, the need to be taught properly is more vital than ever. We should not judge success by the size of a paycheque or material goods paraded on social networking sites, but by our ability to cultivate and share our own unique gifts and talents with others. As educators, we should take time to reflect on the words of wisdom from Dr King and take these into the classroom. We owe it to the next generation to create a world where think freely, intensely and critically and where success is measured not by material wealth but is achieved by the value of sharing our unique light with others.